It's Thursday dress up day and it's fall ya'll! I'm embracing fall 🎃🍁🍃🍂 today BUT only because my outfit is SO cute! 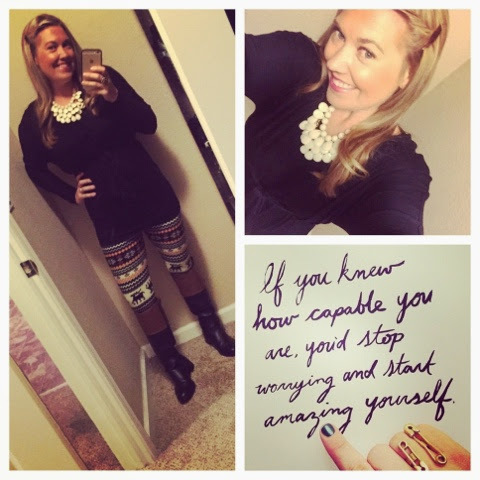 My tunic and comfy leggings are from White Plum. These leggings are the softest material I have ever felt. Tunic is a medium and leggings are one size fits all.